Some weeks back, Forbes released its list of top billionaires around the world including Africa. Our own Alhaji Aliko Dangote was named yet again as the richest man in Africa. But have you for once thought to yourself what you are actually worth? Well, I am sure you’ve probably have. However, did you do it using the right techniques? Never mind, that is exactly what we wish to help you with in this article. As a definition your Net-Worth is basically the net of your Assets and your Liabilities. That is you add up all your assets and subtract it from you liabilities with the resulting results being your net worth. It looks simple right? Well, not really…but this guide is about to help you see how it is done. Cash – Cash is king and probably the easiest of all assets that you value. In fact. we bother to estimate all other assets because we want to know what the cash value is. However, you may have cash that is foreign currency denominated. You may also have cash that is paid in cheques, drafts or promissory notes. These are all cash but with values that can be determined by several factors. For example, the value of foreign currencies like the dollar increase or decrease depending on the prevailing exchange rate. So, whilst cash is easily estimated you have to have to make sure the likes of your forex are estimated correctly and the likelihood that other quasi cash such as cheques and drafts will have value when presented. Investments – Investments such as stocks, bonds, fixed deposits, treasury bills etc all have verifiable values. You can check the value of your stocks at any given time by checking the website of the Nigerian Stock Exchange. Values of Bonds and Treasury Bills are actually more technical but can be verified easily as well by professionals. The value of your investments are included in the asset column. Properties & Real Estate – Do you have real estate like houses, shops, warehouses, properties, land etc. These are all real estate and part of the assets that you own. It is probably more difficult to estimate these than it is to estimate investments. However, the value of your property should be the amount people are willing to buy it for when you are desperate. This is the more conservative way of valuing real estate and one I recommend. Other Fixed Assets – Cars, jewellery, equipments, computers etc. are also forms of verifiable assets. However, it is important to accurately estimate the values of these assets rather than base your estimates based on perceived market price. A market value of these assets is a better method. Intangible Assets – These are assets that you really can’t touch but have value. They are softwares, music, trademarks etc that are transferable in exchange for money. They are actually a tricky form of assets and care should be taken to value them correctly. You cannot for example include a computer software that is licensed to you only as an asset because it is deemed consumed and not transferable. You can also not use a software that you use to provide services for others as an asset because that is also a consumable. Debtors – Are you owed money? Is it an amount you are sure you can collect within the reasonable time frame? If the answer is yes then that can also be included as part of your assets. If not then you do not include that. You must only include debts that you are sure of collecting as part of your assets. Art Works/Antiquities – Art works and antiquities of immense importance have considerable value. However, these items must be verifiably sellable and with the values easy to estimate. Pension – If you have some money in a pension fund or retirement account then that is an asset you can also include. However, you should only include the most the recent value of the pension not the projected value. Now that we are done with assets, we can then move to liabilities. Liabilities are monetary values that you owe to people, financiers, individuals, corporate organisations, suppliers, service providers, Government etc. They are debts that you owe that are payable upon demand and/or when they fall due regardless of whether you have the money to repay or not. Bank Loans – These are interest bearing loans given to you by financial institutions. It could be your car loans, personal loans, consumer loans, credit cards etc. The principal outstanding in addition to the remainder of interest payable all sum up being your total loans. Taxes – Do you owe taxes? Personal Income tax, Capital Gains Tax or whatever tax your accountant tells you is payable is also a liability. Personal Tax liabilities are mostly owed by rich individuals, sole traders/entrepreneurs etc. You may however, have to contact your accountant to help with your outstanding taxes. 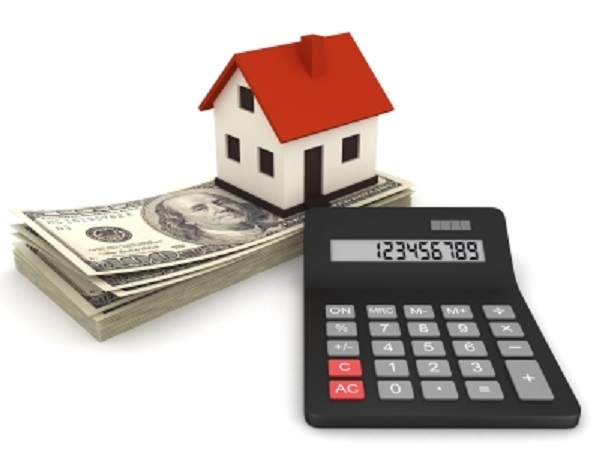 Mortgage – Have you got a mortgage loan for a house or real estate property, then that counts as a liability as well. As above, you will have to include the principal left in addition to the interest payable over the term of the loan. Other Liabilities – These are other loans or payables that you have to make anytime soon. Examples are medical bills, travel expenses, suppliers, contractors, etc. They rank as liabilities as well and have to be repaid. Now that you have estimated what your assets and liabilities are you can now make the simple calculation of your Total Assets less your Liabilities.